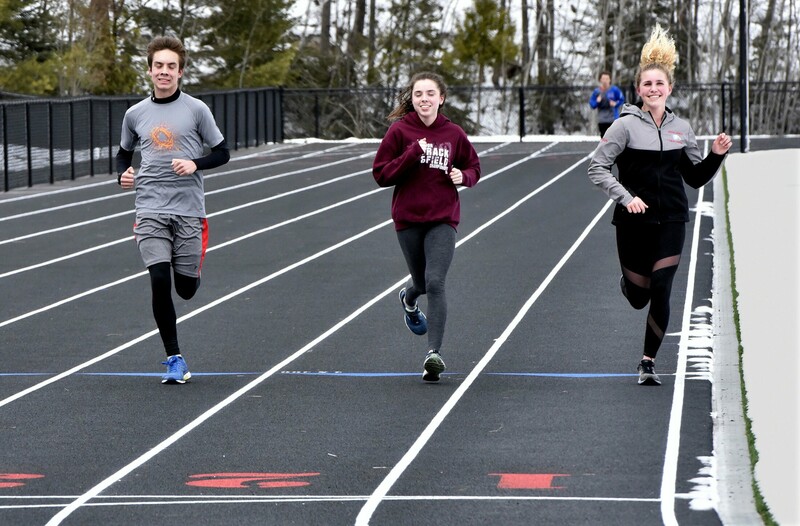 Messalonskee High School distance runners, from left, Hunter Smart, Charlotte Wentworth and Alexa Brennan, run Wednesday on the new eight-lane track that replaces the “dirt oval” and that surrounds the new athletic field in Oakland. 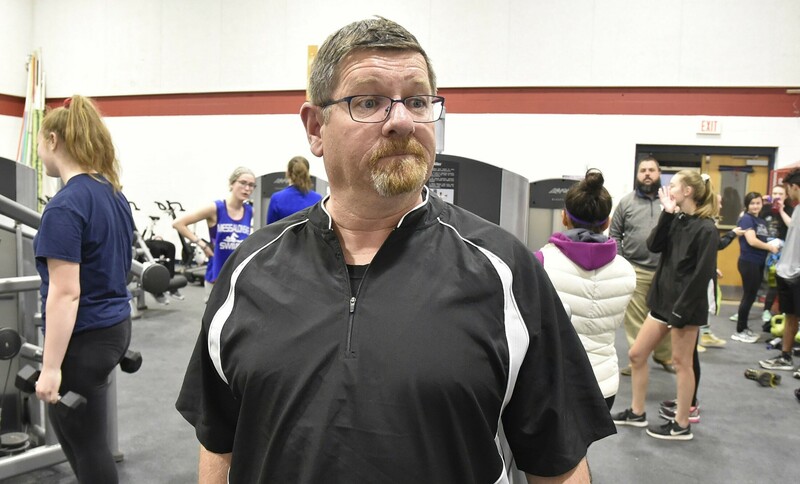 Messalonskee High School track coach Tracey Frost said his student athletes are "really, really jazzed" about having their first home meet since the 1980s. 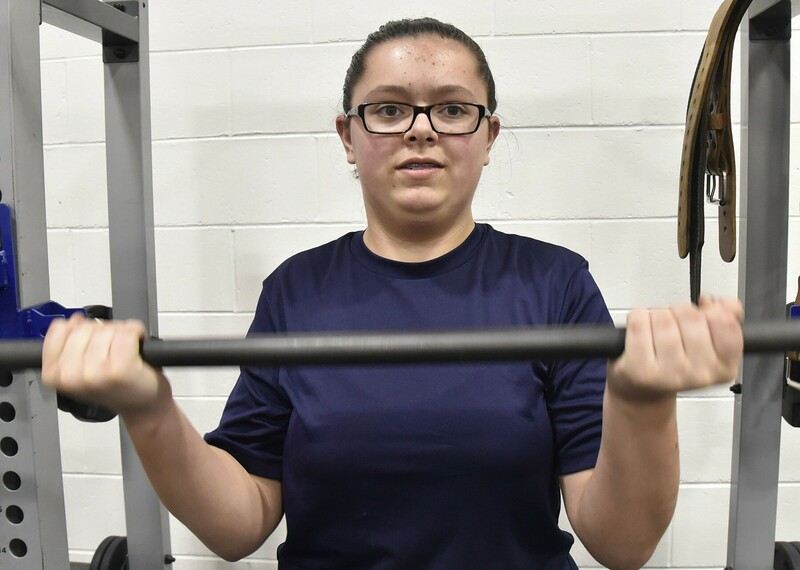 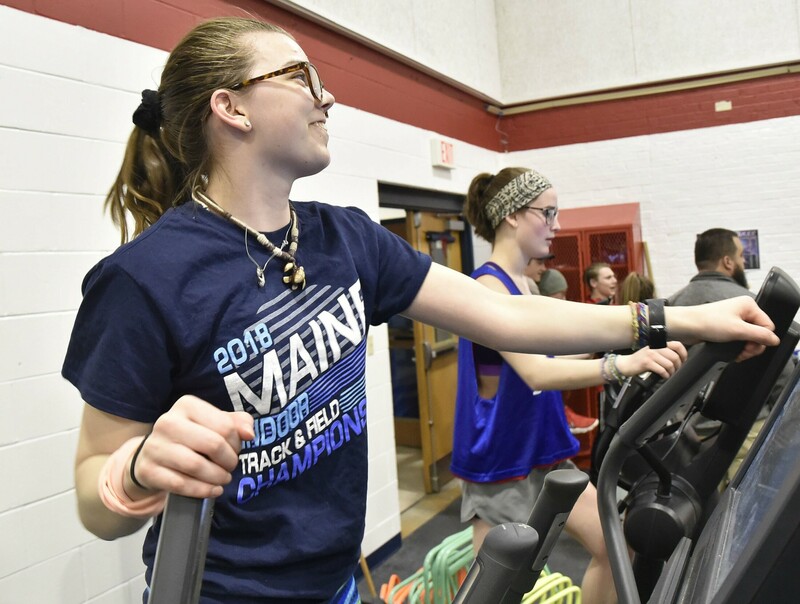 Messalonskee High School track athletes Pyper Birch, left, and Olivia Roy work out Wednesday on exercise equipment in Oakland. 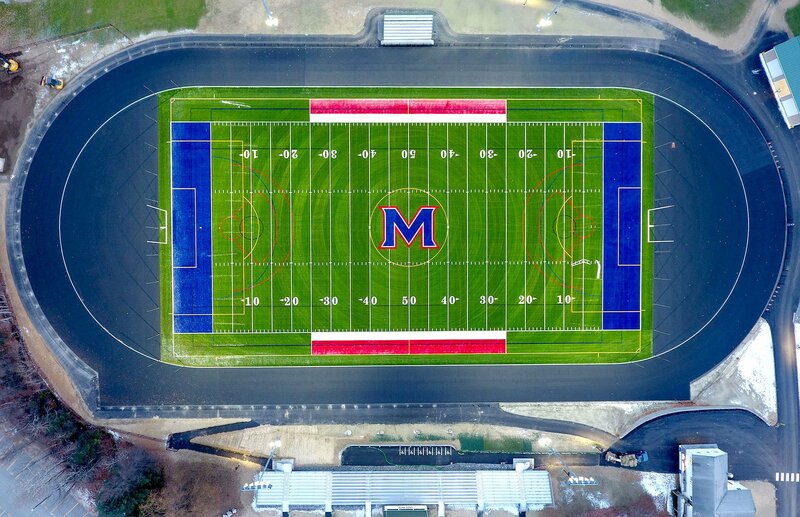 Birch said that when new mats for pole vaulters came in, they opened them up and "just immediately laid on them." 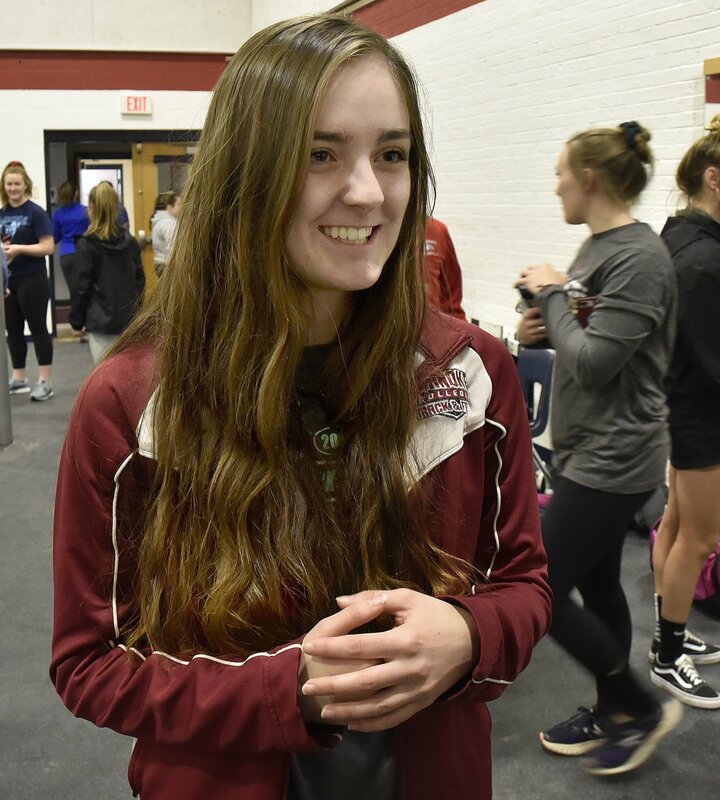 Messalonskee High School track athlete Katie Elliott will be competing this spring on a new track and field at the school in Oakland. 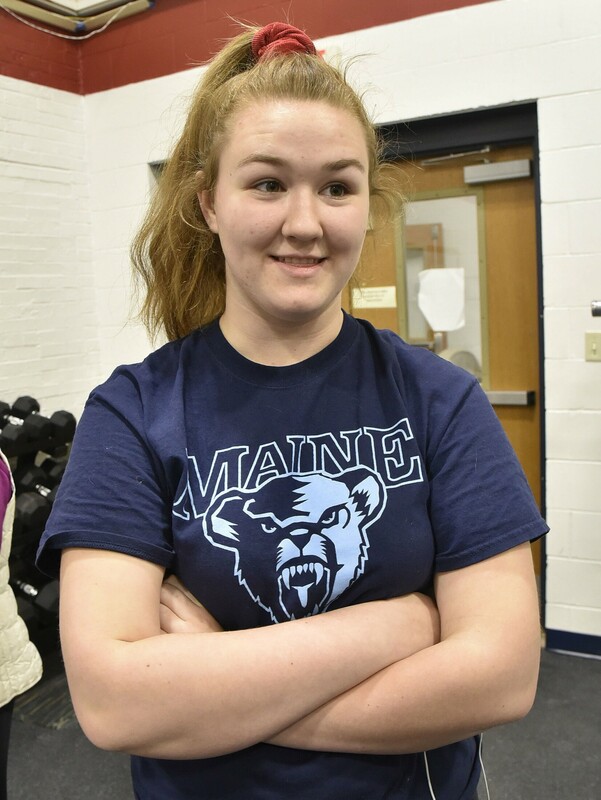 Elliott competes in the shot put.